David Cooke. Demsey and Windle. Small presses play a major role in poetry, publishing debut collections, books and pamphlets by new and established poets. 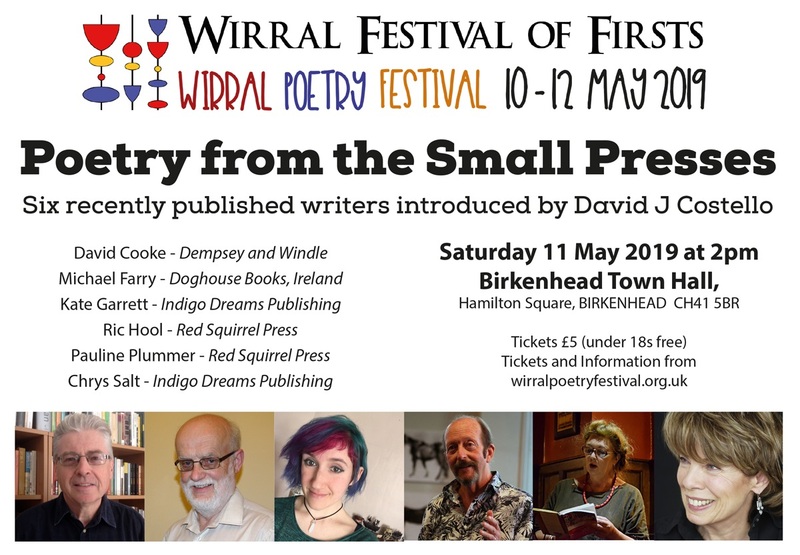 You will have the opportunity to hear the selected poets read and to buy directly from the book stand, where you can meet some of the publishers too. This event will appeal to poetry lovers and emerging poets alike, providing space to listen, network and develop your knowledge and enjoyment. All welcome. Refreshments available in the interval.